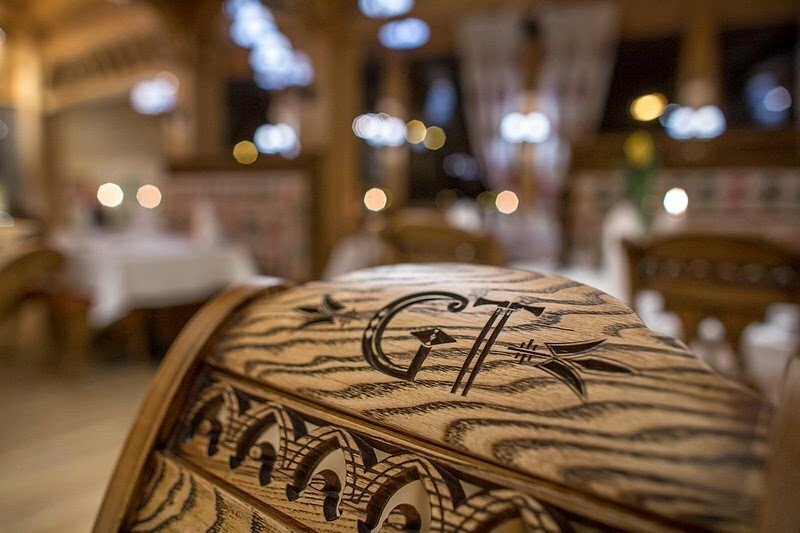 A combination of passion and love for Zakopane culture founded Góralska Tradycja – a restaurant unlike any other. 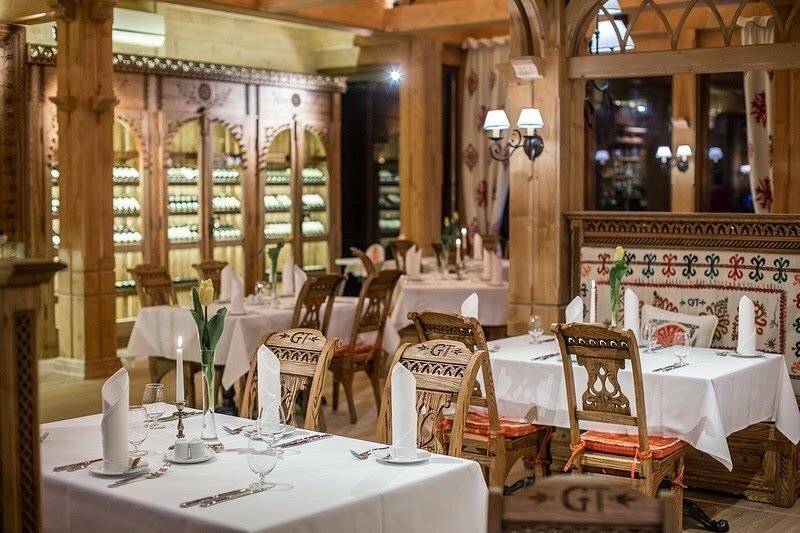 Here one may find the finest of Zakopane’s traditions and enjoy a true feast of the senses. 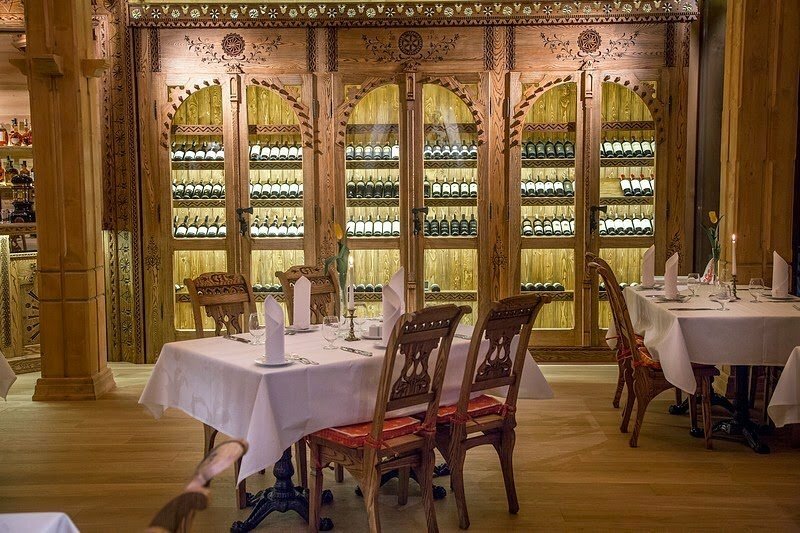 Exquisite dishes prepared by Podhale’s top Chef, Darius Siciarz, take you on a magical journey full of flavor and new discoveries. 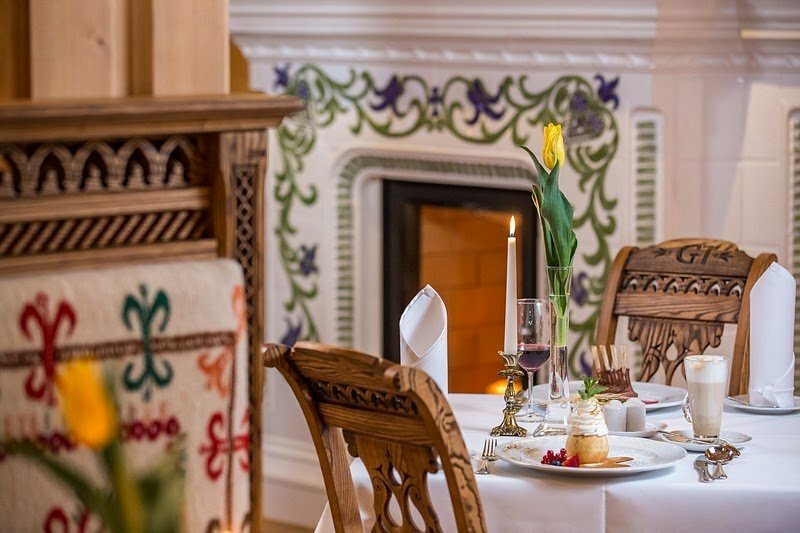 Góralska Tradycja has inimitably mixed Highland traditions, modern solutions, and the enormous talent of its chefs to create a unique menu with unforgettable dishes. 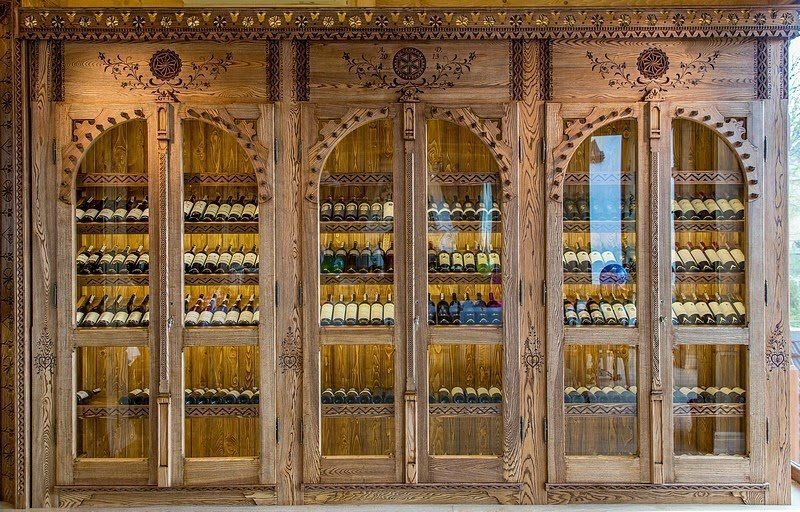 Our goal is to not only delight you with delicious Highlander cuisine but also enchant you with stunning interiors inspired by the ‘Style of Zakopane,’ a trend in art created by Stanislaw Witkiewicz. 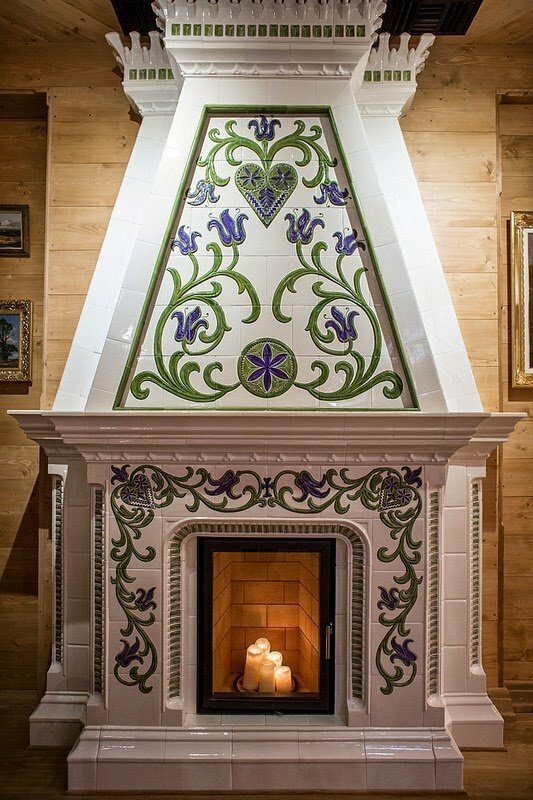 Each element of the decor of the restaurant is a polished work of art created by artisans from the Podhale region, associated to the Highland arts and crafts for years. 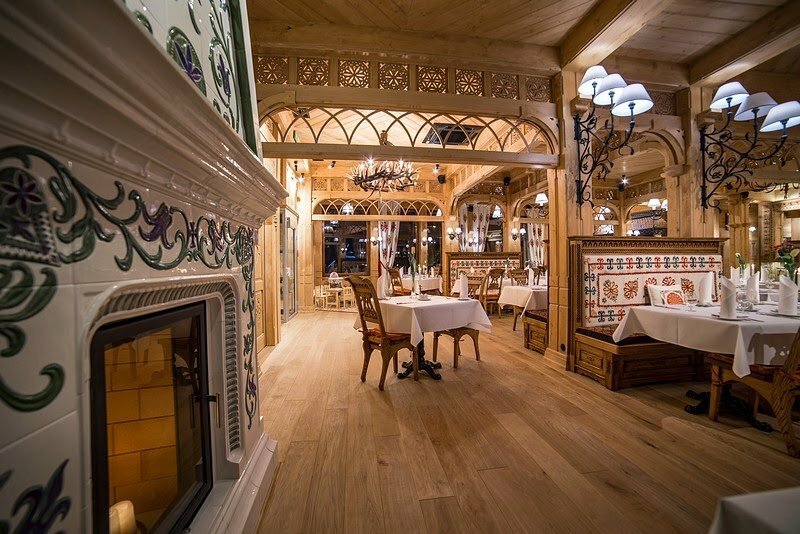 The interior is completed with a breathtaking view of the Tatra Mountains. Lovers of sweets will not leave Góralska Tradycja disappointed either. 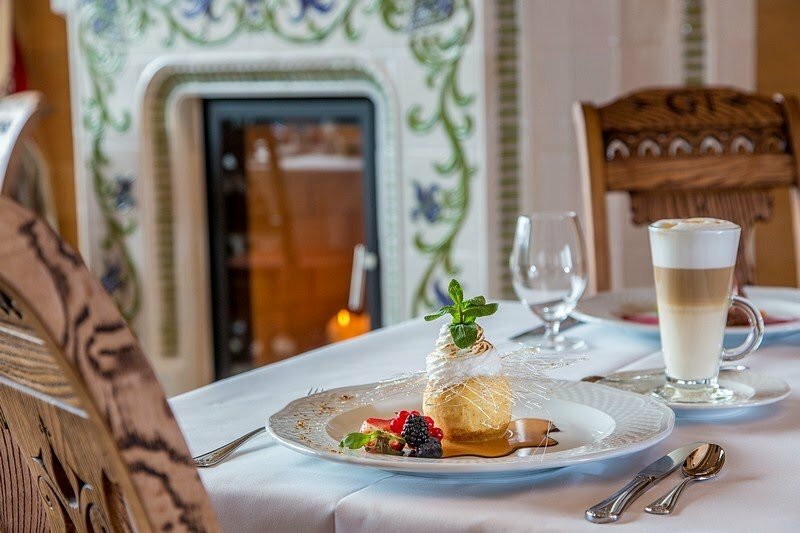 Located on the ground floor of the restaurant is Góralska Tradycja’s Cafe that offers a wide range of delicious pastries. Freshly prepared cakes and desserts and signature house coffee blend guarantee for a pleasurable and delectable visit.